How do you judge the quality of a jewel? It’s a big question with any number of correct answers. One thing, however, that cannot be left out of a great design is proportion. Jewelry has to work like a piece of architecture that fits the body and have a beauty that is alluring. In ancient Greece the concept was called the golden mean. It is all about the balance of symmetry, proportion and harmony. 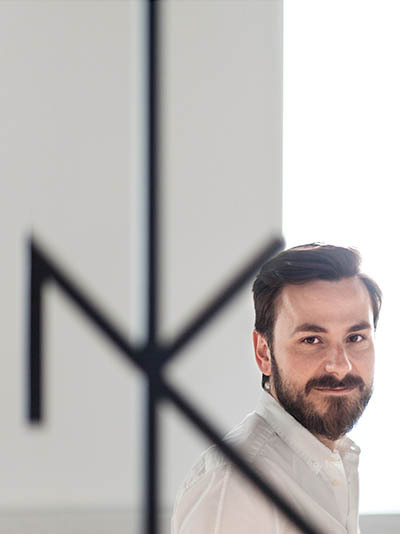 While the work of Greek designer Nikos Koulis is the very essence of modernity, everything he makes also has the grace of this classical ideal. It can be seen all over the jewels in his amazing contribution to the Gemfields x Muse collaboration. The designer, who was reached in Athens, told me all about his design perspective and Gemfields x Muse pieces. This year marks your 10th anniversary in business. Congratulations. Your vision of jewelry is so clear and perfect for the way women live and dress. How do you describe your style? The Greek spirit is inherent in my creations, in the way I want to convey light through my jewelry, in the colors I use, in the graphic forms I design. I can’t stand rigidness and lack of delicacy or sensuality. My main design inspiration is Art Deco—I believe in clean lines—but the end piece looks new and fresh, because of the small details, the materials I combine and my desire to create modern classics. Most of all, I am affected by the Greek traditional craftsmanship, which offers an amazing array of knowledge and techniques and facilitates the production of the pieces I’ve dreamt of. I am obsessed with structure, fluidity and soft finishing touches. 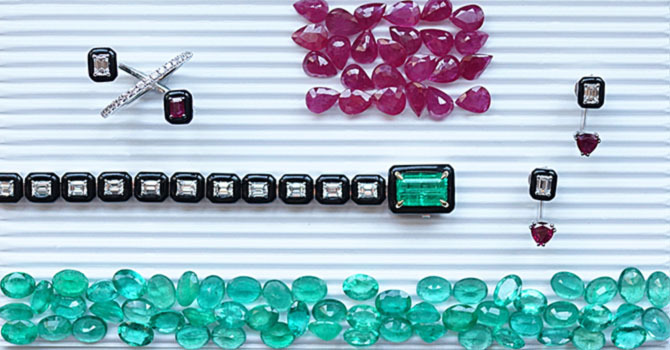 The Gemfields emeralds and rubies provide exclamation points of color to your graphic Oui collection. In many ways just using a few colorful stones makes the gems stand out as much as covering your work in them. Emerald is my favorite stone because it can never be perfect. There is always some character in the gem’s natural structure. I’m constantly seeking the most fascinating colors and cuts of emeralds. Ruby is my latest love. Gemfields has provided me with the exact quality and cuts I wanted from the gems that appear in the Oui collection with diamonds and black enamel. The tennis bracelet you created with the Gemfields emerald clasp is amazing. Of course, the tennis bracelet is a classic silhouette. Could you tell me about the inspiration to reimagine it? 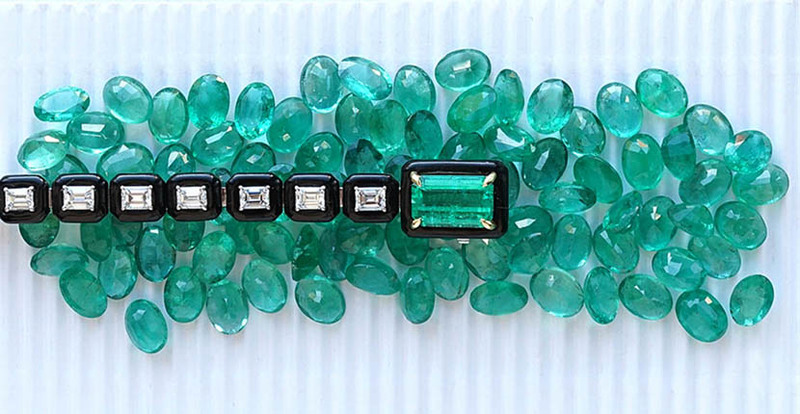 I find it fascinating to revisit classic styles and this emerald clasp makes the tennis bracelet look really cool! The use of the emerald came organically as an evolution of the other Oui designs. 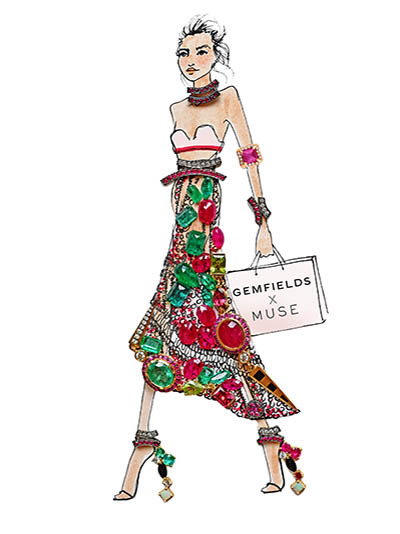 I worked closely with Gemfields to find the right one. 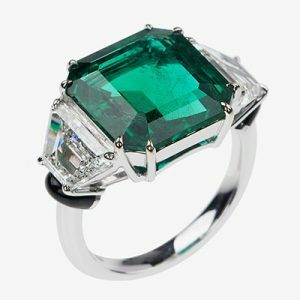 The ring you created with the large Gemfields 7-carat octagonal step-cut emerald is extraordinary. You are a gemologist. Could you tell me about the process of choosing a large stone like that and designing around it? I am very particular in the quality and the shape of gems I use, especially when combined with the enamel element. 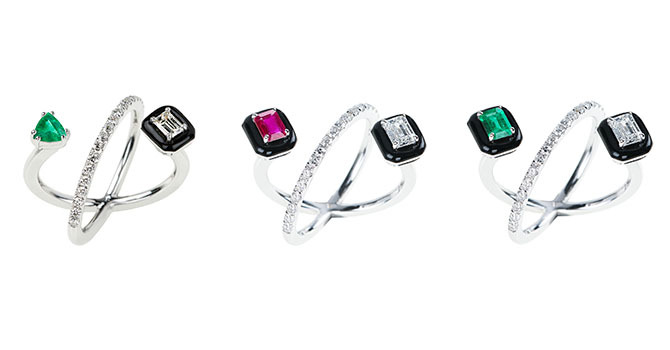 In general, I’m not very fond of the round cuts, I love trillions, trapezes and emerald cut. For this particular emerald, I visited the Gemfields headquarters in New York, I explained to them what I had in mind. After a few days, I had the stone in my office. I enjoyed working with the Gemfields team. They always take what I want a step further. In this ring, the black enamel is used as a signature detail and is not dominant. The emerald is so striking, I wanted the stone to steal the scene. Gemfields is the world’s leading supplier of responsibly sourced color gemstones. Tell me what this means to you. It means trust, quality and professionalism, an ethos I respect.